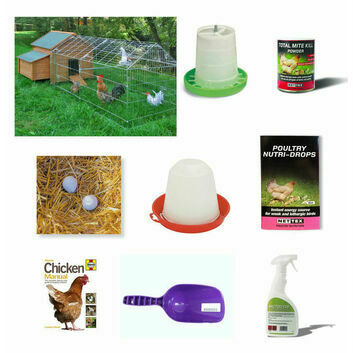 Our chicken and poultry starter kits contain everything an owner needs to ensure they keep their chickens happy as well as healthy. 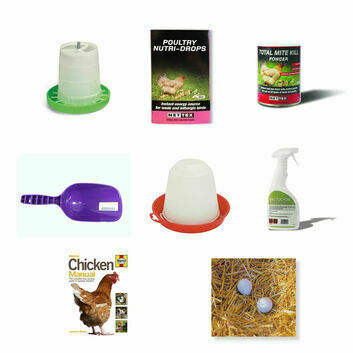 Our kits include items such as gut conditioner, vitamin, mite powder, mite spray, disinfectant powder, sanitising powder and feed scoop. 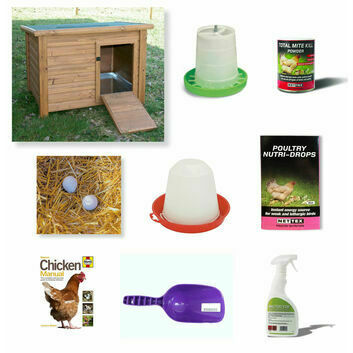 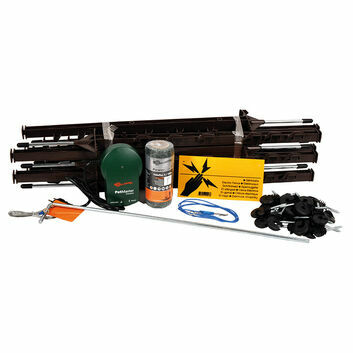 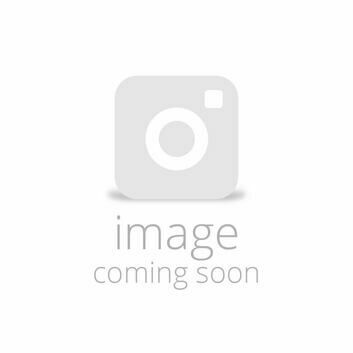 We have chicken starter kit options with and without coops.